CHARLOTTE COUNTY, Fla. (July 1, 2016) – The state Department of Health announced the first case of travel-related Zika virus in Charlotte County today. Charlotte County Mosquito Control has responded in an effort to prevent the virus from entering the county’s population of Aedes Mosquitos. The mosquito control unit has been performing regular treatments in the general area of Port Charlotte as well as breeding reduction activities and outreach to residences within a mile of the confirmed travel-related case. Additionally, after confirmation of the case and following discussions with the Florida Department of Health in Charlotte County, another round of treatments and larvacide reduction activities is being performed. Charlotte County Mosquito Control strives to control the mosquito populations through an integrated pest management approach consistent with applicable laws and justified by principles of public health, vector control, environmental safety, and fiscal responsibility. Mosquito Control maintains an active surveillance program and operates both ground and air spraying missions to reduce the number of mosquitos in Charlotte County. Charlotte County urges residents to take precautions to reduce breeding grounds for mosquitoes and protect themselves from being bitten. 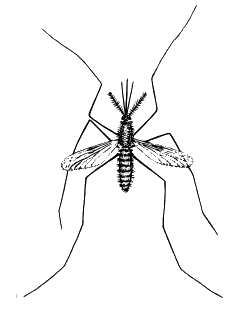 Residents can help control the mosquito population by eliminating areas where mosquitos breed and develop. Mosquitos thrive in wet conditions such as containers, tires, watering pots, flower pots, kiddie pools, stagnant bird baths and trash that can hold water. Residents are advised to remove containers holding standing or stagnant water from their property or empty them frequently. A Florida Department of Health instructional video on the subject can be viewed online. The Zika virus causes flu-like symptoms, such as red eyes, rash, fever, malaise and joint and muscle pain, which can last from seven to 10 days. A large majority of people infected, however, show no symptoms, but can be hosts for the virus and spread it to mosquitoes. For information on the Zika virus visit the Florida Department of Health in Charlotte County website at charlotte.floridahealth.gov or call the Zika Information Hotline 855-622-6735. For information on Charlotte County Mosquito Control visit their website or view a video about our mosquito control division on CC-TV’s YouTube page.